Discussion in 'Introductions' started by HappyMum, Nov 3, 2016. I'm Precy, based right here at the heart of Baltimore. I am a caregiver-nurse assistant, and a mother to two very sweet and loving children who have finished school and moved out. I joined here to share my own stories, read your stories about your journeys, and to help in any way I can. Looks like you had your fair share of adventures with raising kids, I'm looking forward to those stories, definitely! Wow, it's great to have you on board the Maternity Forum, Precy! Thank you for taking time to share your stories with us! Oh hello there Precy! You're so blessed to have raised such good men, and keep your marriage at 25 years! Cheers to you joining us here Have fun! Welcome Precy! I am pretty sure you have loads of stories to tell! Pretty excited about that, especially with the difference and similarities of the parenting approach you have compared to today. Thank you for joining us! Welcome to the forum, Precy. I just made a mental note that every time I see you post anything, I ought to get pen and paper and take down notes. 25 years and raising good men sounds amazing. I hope to learn a thing or two. looking forward to your posts! Oh let's be friends, Precy, surely. I am thoroughly enjoying this forum, I am getting to learn about so many other opinions that I believe helps me form more of my own. I hope you will have fun too. Wow, I could learn a lot from your experiences, I bet! Hello there Precy! I hope we get to mingle here more often, even if we're all communicating online only. Virtual friends are the best! Cheers to new friendship! Hey Precy! I'm Alex, a mother of two (soon to be 3). 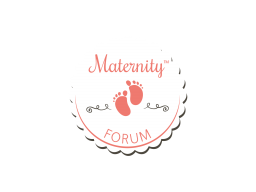 Welcome to maternity forum! Looking forward to reading your experiences as a mother Cheers! Better late than never! Welcome to our community! So glad we are growing in numbers!